Weekend greetings! I’m finishing up some reorganization projects around the house, then I’m off to Las Vegas for a few days, I’m excited to attend the national Kitchen and Bath Industry Show next week, I’ll be visiting so many vendors to see the new design products on the market and I’ll be sure to share them with you! 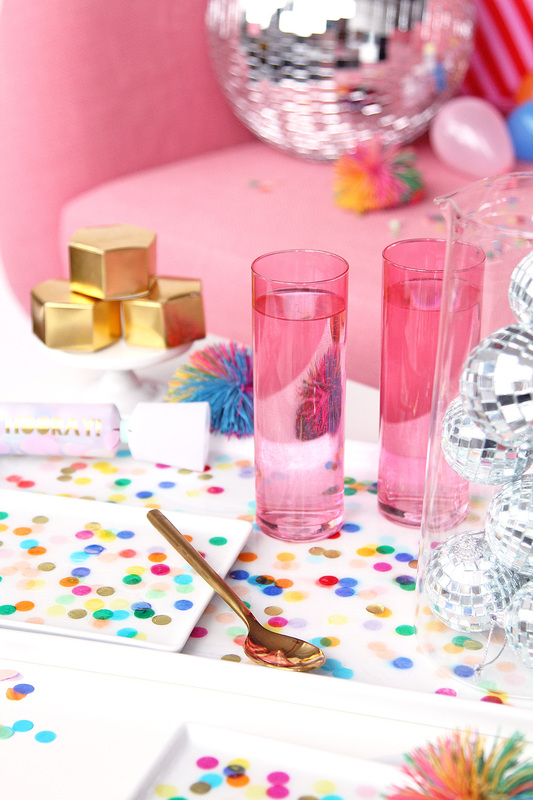 I brought back a reader favorite this year: the ‘Best of the Blogosphere’ series, kicking it off today. I took a small break from these posts during the holidays but now it’s back! 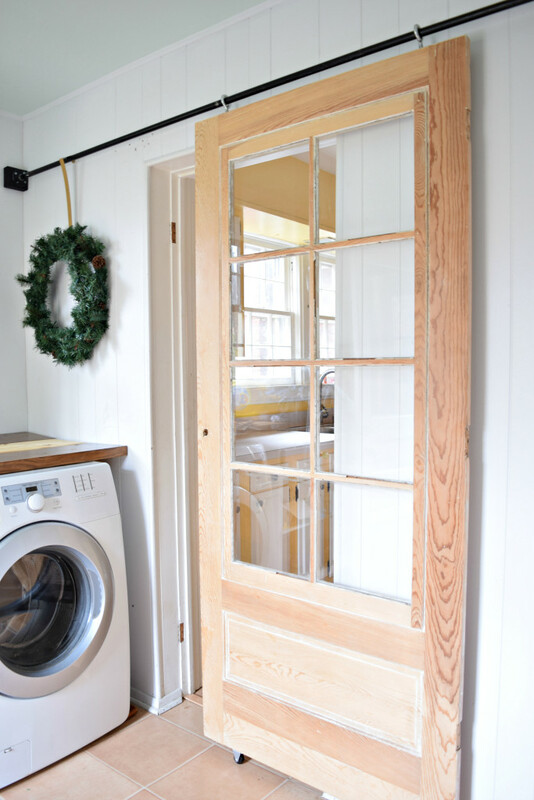 As you know I love to feature the spaces and projects of others that I find so inspiring, enjoy the latest roundup! 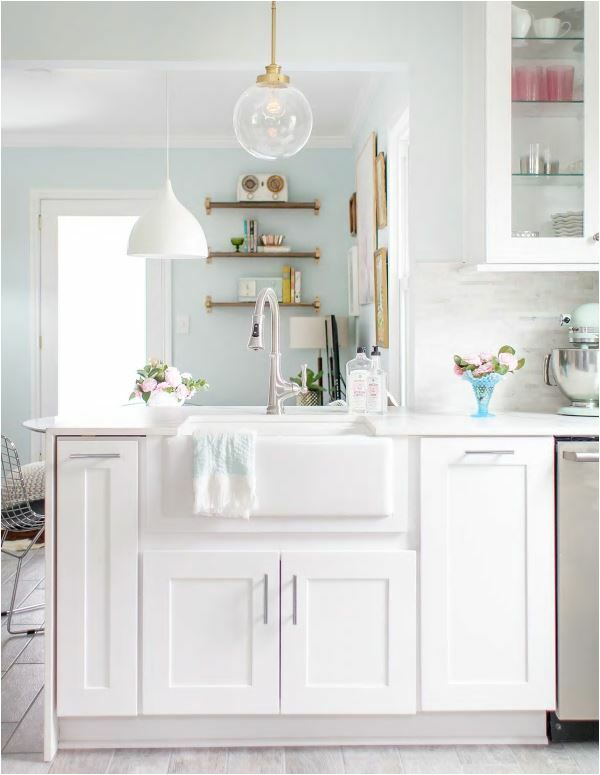 Don’t miss Joni’s kitchen makeover at Lay Baby Lay, I love the brass accents and waterfall counter edge! 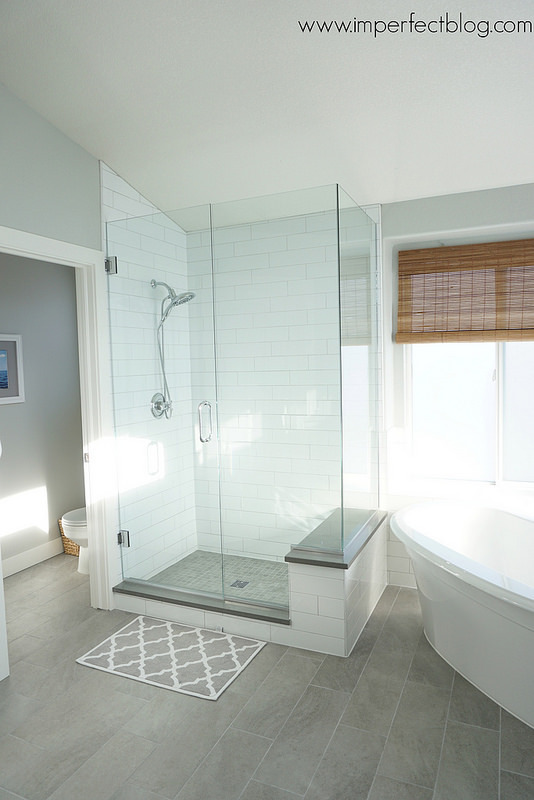 There’s a fresh new look in Emily’s master bathroom at Imperfect Blog. 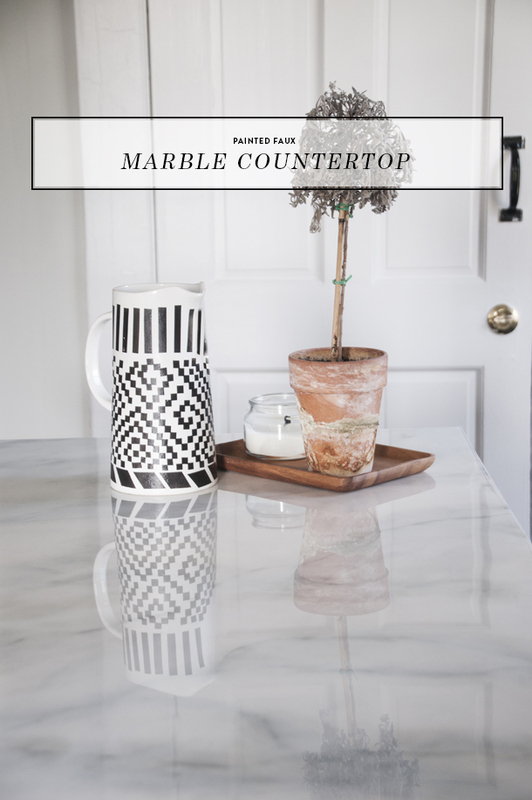 Follow Erin’s tutorial for fabulous painted faux marble countertops at Earnest Home. 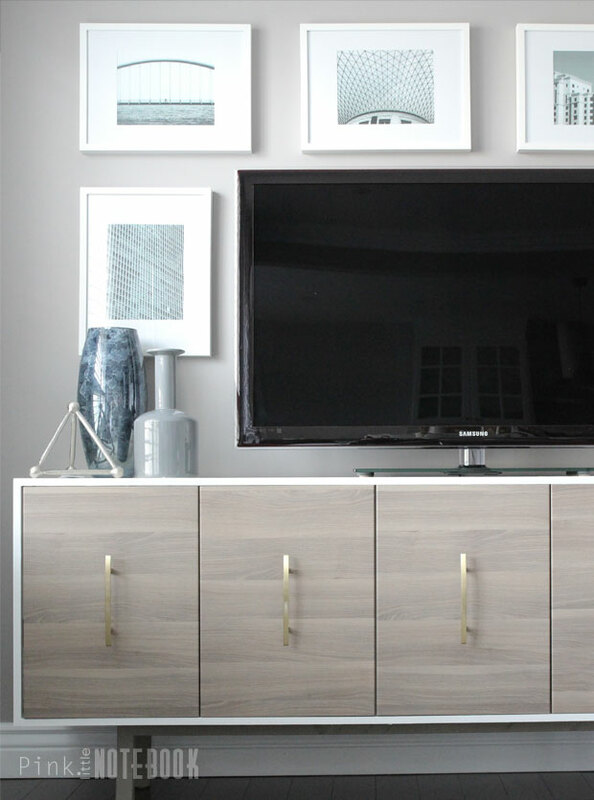 Learn how Sabrina at Pink Little Notebook used IKEA Sektion cabinets to make a modern media console, fab hardware too! Plumbing pipes and a few other pieces are all you need to make a DIY sliding door, all the parts and steps can be found at Houseologie. 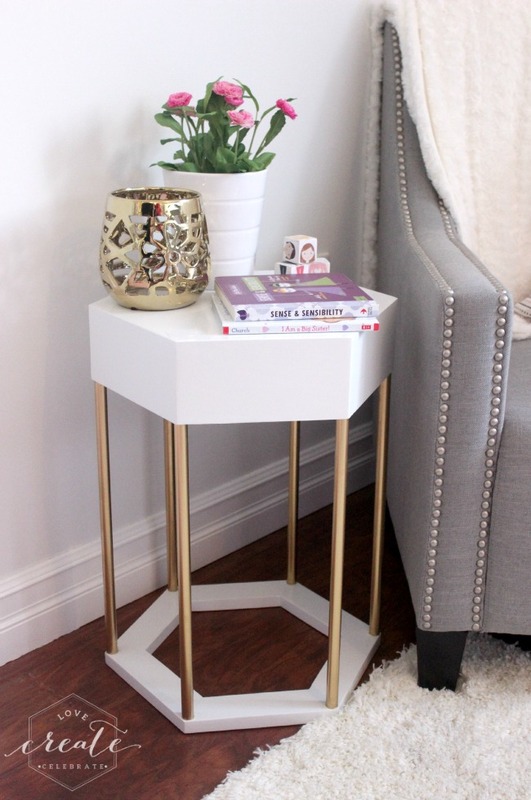 Build a chic white and gold hexagon side table with Lindi’s plans at Love Create Celebrate. Use Mod Podge to create a confetti party tray with tips at Brit + Co. 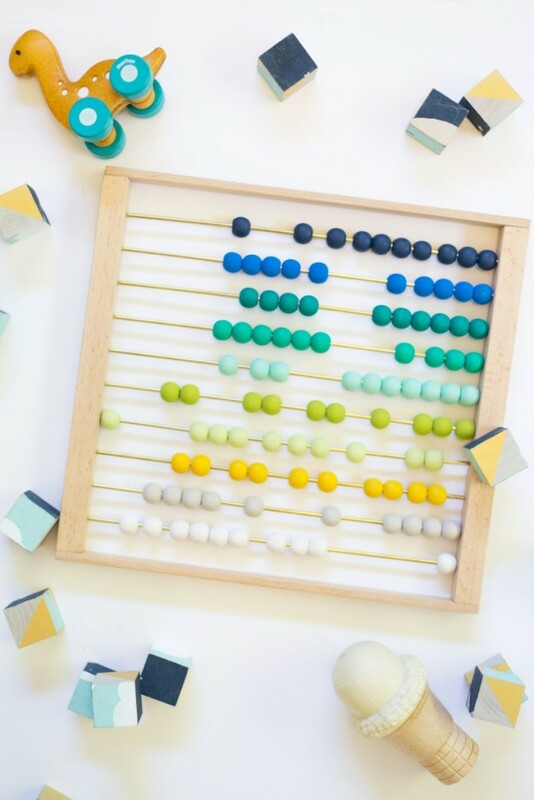 Craft an ombre abacus for your wee one with Lovely Indeed. Download a pretty printable watercolor calendar from Something Peach. 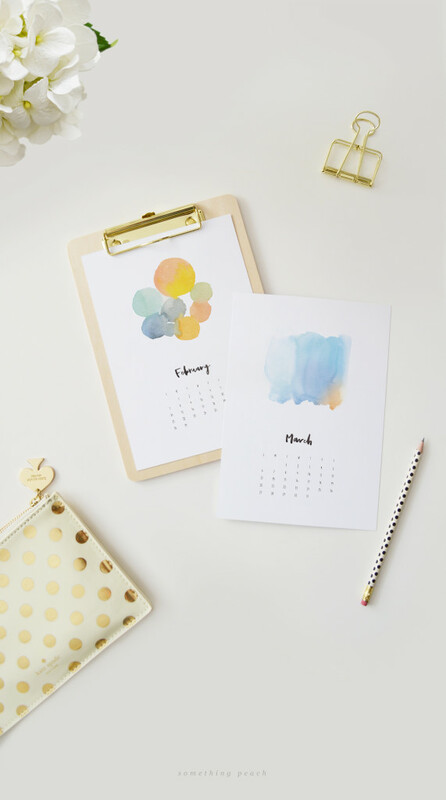 I’m energized by the fresh color in a few of these featured projects, c’mon spring hurry up and get here!